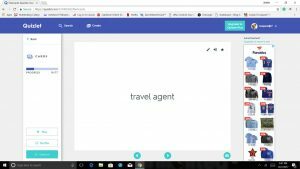 Meet Quizlet, one of the most effective study tools I have come across as a student! Quizlet has been a staple in my studying methods since I was in middle school. I have used Quizlet for a variety of subjects including forensic science, U.S. history, business law, and most prominently, Spanish. Quizlet offers free membership to its website and mobile app (the QuizletPlus version costs $1.67 a month). I have used both to study for every Spanish test since seventh grade. Quizlet offers a variety of features and makes creating online flash-cards simple. After creating a study set in almost any language you can think of, there is a wide range of tools Quizlet offers to the user. The new and improved “learn” tool offers multiple choice, matching, and flash card formatted questions for the user to answer. The user must then answer each question correctly a certain number of times in order to complete the program. You can also practice writing and spelling the terms, play matching games, and even completing online test based on the material. There is also the standard flashcard option where you can listen to the audio of the word, as well as star terms that you want to revisit. 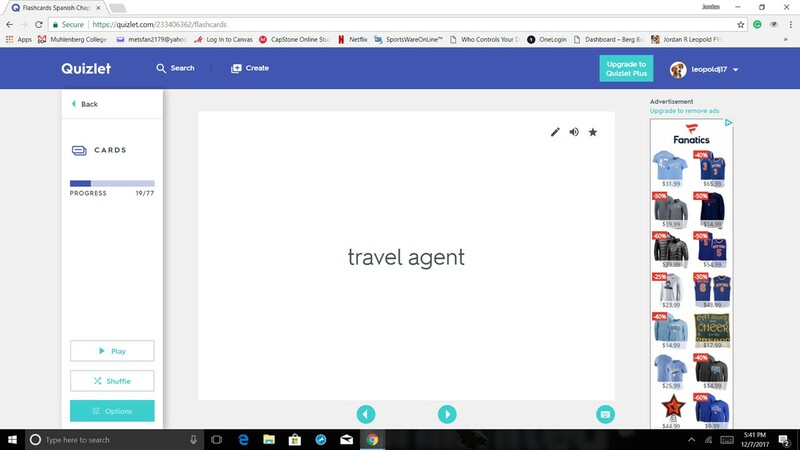 Quizlet is a must have for any student and especially for somebody like me who would lose paper cards, this program is a simple way to access thousands of terms. To What Extent Can We Live Privately In A Digital World? How Many Hours Do We Spend On Smartphones? Self-Driving Cars Are Coming: Should We Be Afraid? Converse v Walmart: What is Considered Copyright Infringement?